The 2010 World Health Report on Health Systems Financing and the unanimous endorsement of Universal Health Coverage (UHC) by the United Nations in 2012 have paved the way for rich and poor countries alike to take a closer, more critical look at how raise resources and improve access to health services, particularly for the poor. Asia is home to 3.9 billion people and accounts for a third of the global economy. Despite the region’s robust economic growth, almost two thirds of those in extreme poverty still live in Asia. While there are many paths that a country can choose to get out of poverty, mobilizing domestic resources towards the health sector – in the form of Universal Health Coverage policies that seek to increase access to services especially for the poor – is a sound and sustainable investment that can lead to great economic returns. These reforms that empower the poor are critical because poor health and health shocks are leading causes of chronic poverty and impoverishment. Rapidly growing Asian countries, Bangladesh, Indonesia, Thailand, and Vietnam have shown that improving health indicators and reducing extreme poverty are clearly linked. Declines in infant and child mortality rates in these countries preceded periods of strong and sustained economic growth. Clearly, an agenda to end extreme poverty must include UHC goals. Ill health prevents the poor from climbing out of poverty and can impoverish the near poor. When a household member falls ill, this can mean diminished labor productivity. In addition, households often make catastrophic financial outlays paid for by selling their assets, reducing their consumption, dipping into their savings, or borrowing at high interest rates for seeking health care. High rates of out-of-pocket spending, a highly regressive way of financing health systems, create financial barriers to accessing health care., This financing represents 36 percent and 61 percent of the total health spending in developing East Asia and Pacific and South Asia regions, respectively. UHC reforms come in different shapes and sizes. Some common characteristics include improving revenue collection mechanisms so that they are fair and affordable;, helping people move away from paying for health services out of pocket and toward prepayment and risk pooling; improving value for money with strategic purchasing;, and targeting the poor through subsidies. Many of these reforms across Asia have increased access and utilization of health care, provided financial protection, as well as improved health care outcomes. Countries such as China and Bangladesh successfully piloted schemes. In Bangladesh, the pilot voucher program to improve maternal and child health successfully increased pre-and post-natal care and facility-based deliveries, while reducing out-of-pocket spending and the costs of these services, and decreasing neonatal mortality rates by a third to almost half in home-based interventions. Bangladesh has adopted UHC as a national policy goal and USAID is providing assistance to support implementation of their health financing strategy. Vietnam and Indonesia have reached partial coverage of their populations by around two thirds, and have recently taken additional steps to expand their coverage. 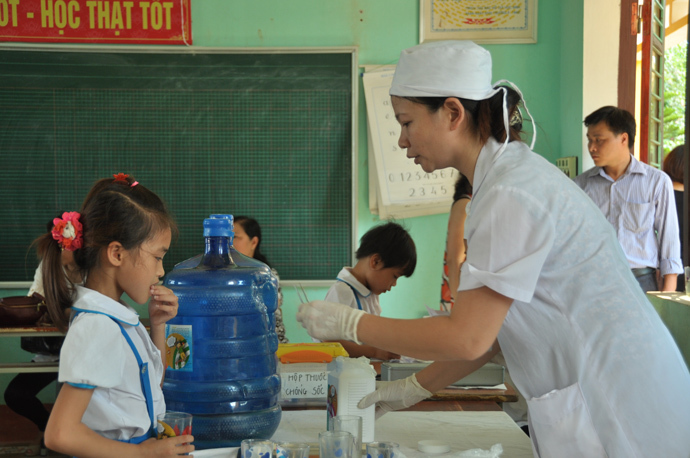 Analysis of various UHC schemes in Vietnam (public voluntary health insurance, social insurance and the health care fund for the poor) showed that they had improved financial protection – significantly decreasing spending for the beneficiary insured and providing evidence of positive impacts on their nutrition indicators. 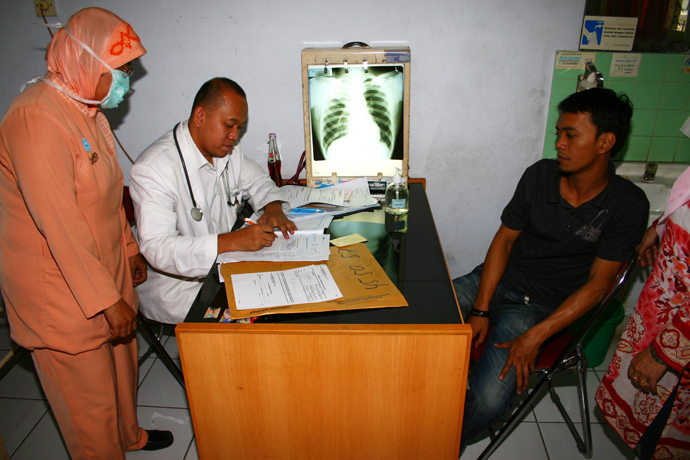 And in January of this year, Indonesia set out on the path towards UHC with the goal of covering its entire population of 250 million people by 2019. The dynamic economic environment in fast-growing Asia means that the role of donors like USAID and the development assistance architecture will need to evolve as well. Individual countries and the region at large will need to grapple with growing migrant populations and the need for portable schemes that ensure access for migrant labor populations across porous borders. A large and growing informal sector, individuals not covered by the labor and social security provisions, will continue to test how countries communicate expanded coverage to remote and often marginalized communities. Equally as important will be the question of how to finance and address the changing mix of population health needs arising from demographic trends and the emergence of non-communicable diseases. As many of the developing countries in Asia continue to grow, they will have sufficient resources to afford a basic package of health services for their entire population; however, governments tend to under-invest in their health sector relative to their economic potential. As a result, oftentimes as countries grow wealthier, public health systems fall further behind. In Asia and globally, growing domestic resources represent a critical window of opportunity where countries must have the vision and courage to strategically direct this increased wealth towards the health sector so that development dollars are crowded out. By financing policies that focus on increasing equity and access to quality essential health services – the aim of universal health coverage – countries will be taking concrete steps towards the bold vision of ending extreme poverty. Kristina Yarrow is a Senior Health Technical Specialist in the Asia Bureau, backstopping technical areas specific to health systems strengthening and research such as health financing, UHC, and implementation research. Caroline Ly is a Health Economist in the Bureau for Global Health’s Office of Health Systems. Follow @USAIDGH; and on Facebook.